For more flow, step up to the AVO Power Air systems with a filter that features the same dry-film design as our panel filters. They are easy to maintain, last a long time, and with the air flow necessary for any larger-than-stock turbo setups. Air box kits are also available to help isolate the air intake from the heat of the engine bay. 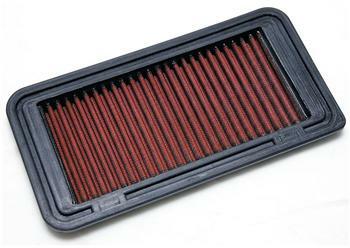 Our high-flow replacement for your OEM air filter is made from a cleanable sturdy cotton fiber. A quick and easy boost for power and torque that has equal rates of engine protection thanks to a special dry film system. Cleaning the filter is a simple process, and does not require any special oils. Simply soak it carefully in soapy water, rinse it out carefully, and let it dry.